Thanks for all the endorsements! 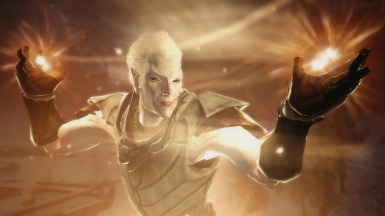 The Snow Elves Also Known As as the Falmer or Ice Elves were once a proud race with unusually great aptitude for magic. There skin is coated with a thin layer of blue-white ice. 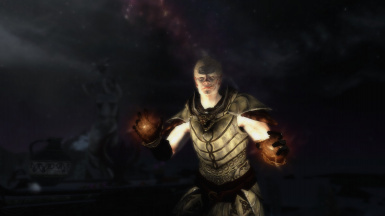 They inhabited Skyrim long before the Nord's Returned from Atmora and Had their own language which was written in a complex and indecipherable alphabet. 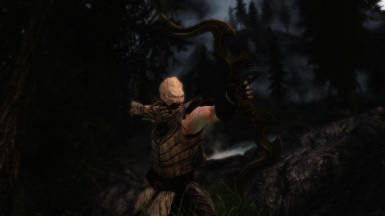 The Snow Elves were Purported to use spears and archery in combat. 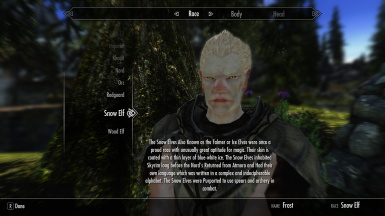 the snow elf race should be compatible with most mod's on the Nexus however Not all custom Armor will work with the snow elf race as Its not been assigned to the Snow Elf race on the Armor Add-on. 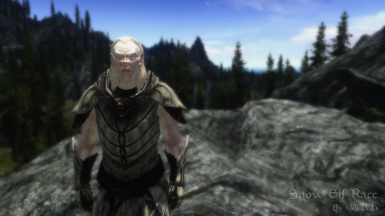 To fix this I've added a armor compatibility plugin with this mod and will be making most of the popular armor mod's on the nexus compatible with the snow elf race as well as writing a guide on how to do it yourself incase on of your favorite armor mod's is not working with the snow elf race, But feel free to request some armor mods :). 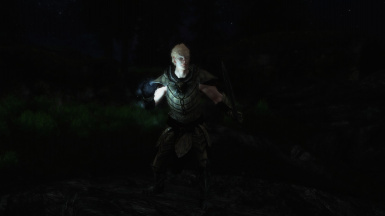 If you find any conflicts with any mods or the vanilla game be sure to report them so I can fix them but Im pretty sure there should be no Conflicts with any mods. Added Male Snow Elf as a Playable Race with custom ability's. 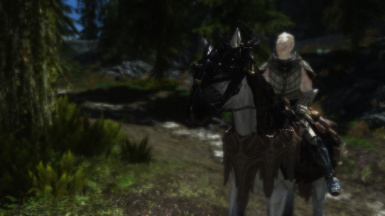 Updated Racial Ability and Stats Bonus (now +5 Restoration instead of +5 Sneak) , New Hair Styles added, added presets and fixed a few bugs. 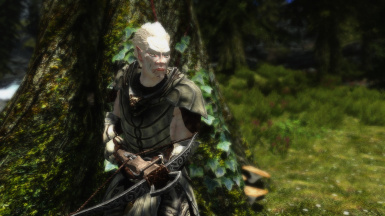 Added Scars, Armor Compatibility for Cloaks of skyrim, immersive armor and Many more popular armor mods on the nexus and also fixed issue with eyes on vampire and normal race. fixed issues with complexity in character creation. YOU GUYS FOR DOWNLOADING THE MOD !!!! !